Rabbits and carrots go together like bears and honey. Bears really do love honey, but most people know that they like to eat more than just that (picnic baskets, for example). 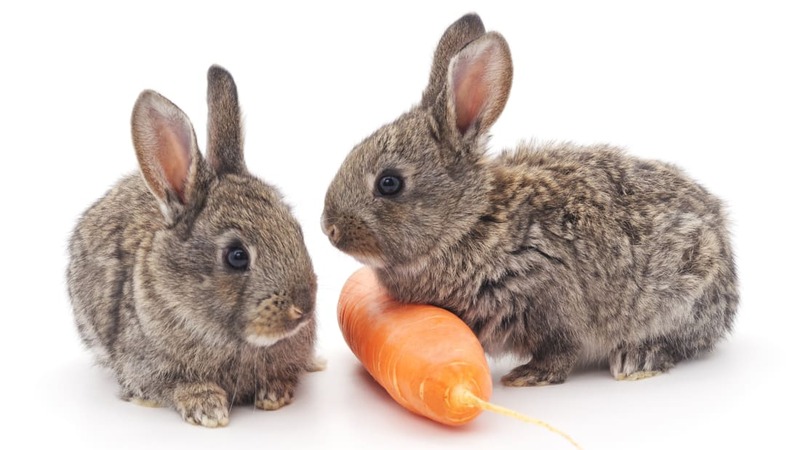 Rabbits also enjoy a whole variety of food, but unfortunately some people think they can live exclusively off carrots. In reality, bunnies don’t eat root vegetables in the wild, so things like carrots should only be an occasional treat. The RSPCA found that 11 percent of all pet rabbits have tooth decay as a result of hitting the orange stuff too hard. So if rabbits don’t eat carrots in the wild, where did the idea come from? Most blame Bugs Bunny. At the time, the movie had just come out so the satire was likely obvious to viewers. Today, most children have never heard of Clark Gable and attribute the carrot eating to normal rabbit behavior. If you have a pet rabbit, read up on the proper foods to feed it—carrots are like candy for rabbits, so they should be given in moderation!